The Southern Island of New Zealand is a natural, geological and traveller’s paradise, all at once. It is perhaps the only place on earth where rainforests sit placidly next to glaciers that flow down almost to sea level! The Fox and Franz Joseph Glaciers are both within easy distance in this part of NZ. Take a heli-hike to one or both, to experience all the magic of actually standing on a natural monument of the ancient earth and touching it. 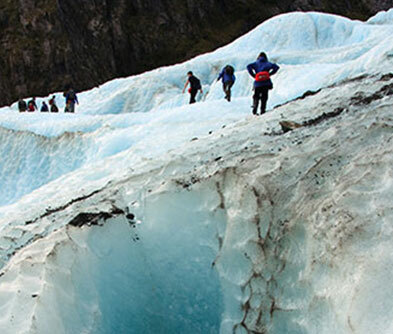 The Franz glacier heli-hike includes crawling through pathways to go from one still icy cave to another! 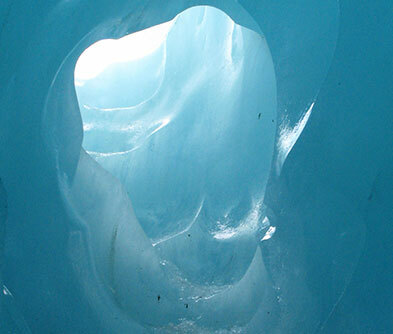 Ice arches and glacier walls are some of the other memorable formations you will see. 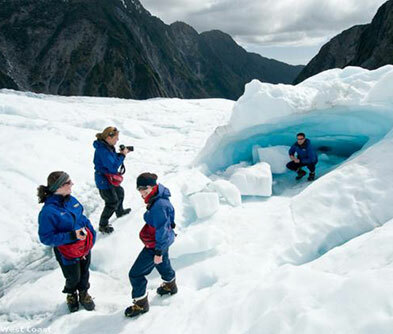 The Fox Glacier heli-hike covers the lower ice falls (where the ice is ever active), the Victoria ice falls and the higher ice falls before landing. Every trip is different as even the slightest change in the weather can alter your experience dramatically!